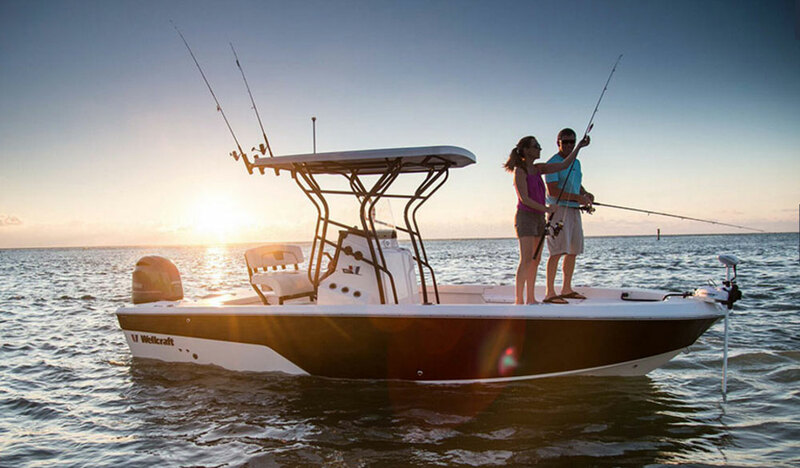 A simple layout allows for good standard equipment and quality construction in Wellcraft’s entry-level Fisherman model. 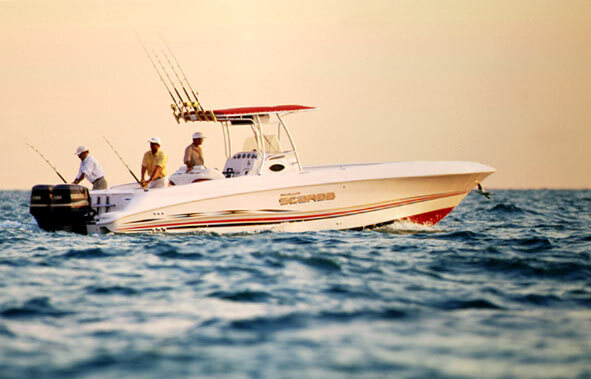 Rumors of this well-known brand’s demise have been greatly exaggerated, as Wellcraft is alive and well and building fishing boats out of Cadillac, Michigan. 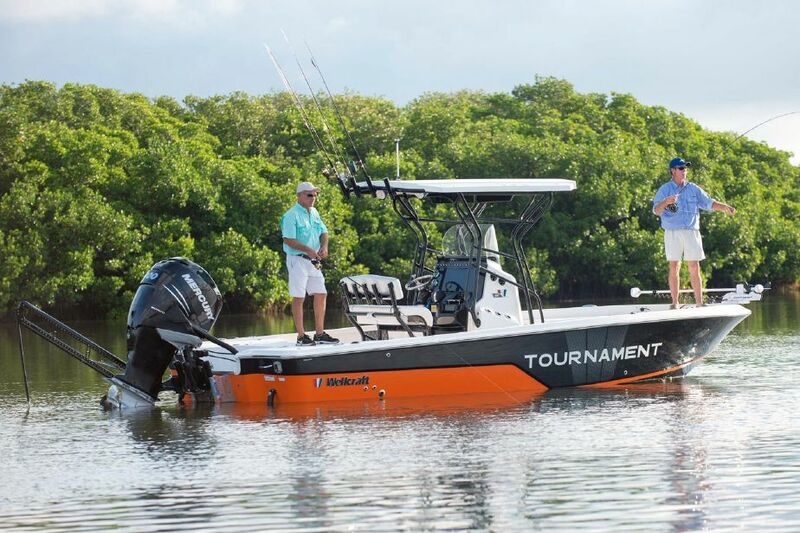 The 180 Fisherman is an economical 18-footer, with a deeper V and more transom deadrise (20 degrees) than most boats in its size range, and a more basic layout. 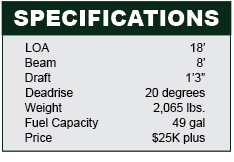 With the 150-hp Evinrude E-TEC it can top the 40-mph mark, and should take a while to run through the 49-gallon fuel tank. 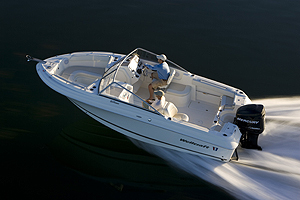 The 180 Fisherman has a deeper V and more transom deadrise than most boats in its size range. 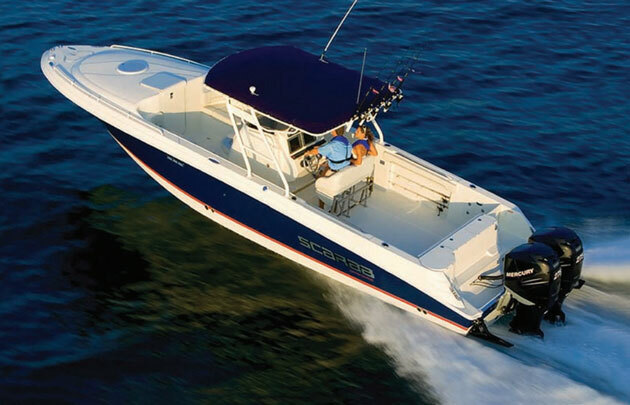 The 180 Fisherman’s layout includes a padded cooler with a backrest as the helm seating, and two jump-seats on the either side of the motorwell along the transom. Forward of the console there’s additional seating atop the standard 24-gallon livewell. 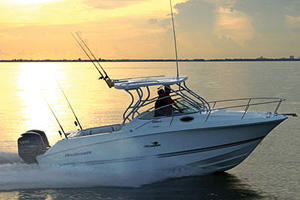 With stainless rodholders mounted in the gunwale topsides, inwale rod racks, and raw-water washdown all standard, it should hold enough gear to take a crew light-tackle fishing. I’d be comfortable with four adults working the rods. Throw a couple of kids into the mix for good measure and you’ll have the recipe for a great day on the water. 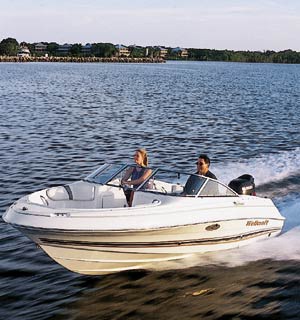 Stainless steel through-hull fittings and a 10-year structural hull warranty attest to Wellcraft’s commitment to quality. 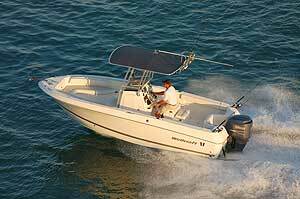 For more information on the 180 Fisherman, visit the Wellcraft website. 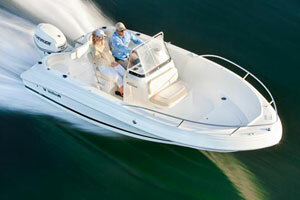 Pete McDonald writes for Boating, Yachting, and other marine and fishing publications. In the past, he has written for Power & Motoryacht and Salt Water Sportsman, and spent 11 years on staff as a technical editor at Boating. All things considered, at any given moment he would prefer to be fishing.